A tattoo that changes a regular man’s life, a mundane twist of the tap that spirals a boy in his past and a dead husband’s eyes that continues to suffocate a troubled wife, the 12-brand new short films by VOOT Originals ‘SHORTCUTS’ will challenge your imagination. 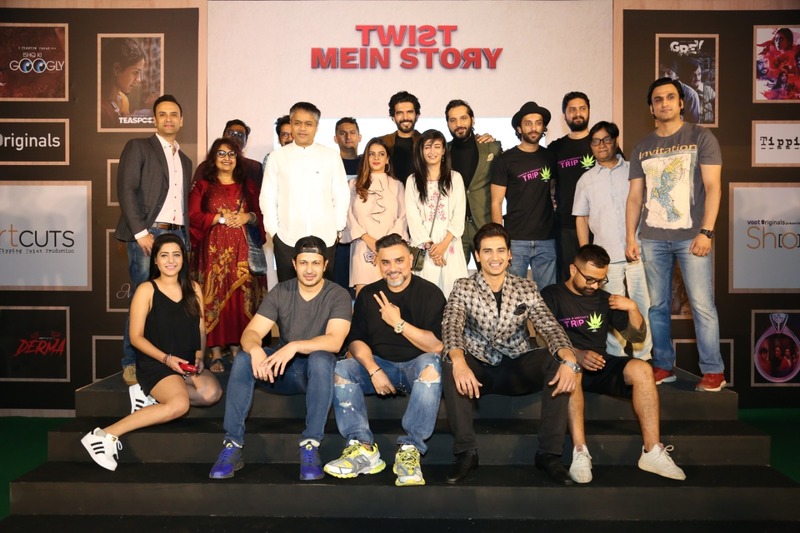 Produced by Tipping Point (A Viacom18 Studios Production) an array of intense and off-beat thriller dramas is all set to give you a paraphernalia of emotions. Spread across multiple genres of drama, adventure and mystery with varied plots set across India, Voot will be your go-to entertainment destination for a rush of raw and edgy content. An ensemble cast featuring, Barun Sobti, Mona Singh, Akshara Hasan along with directors such as Debatma Mandal and Vikas Chandra, VOOT is sure to entertain viewers from all over India. The opening set of ‘SHORTCUTS’ will showcase Derma, Googly, Joy Ride, Bauma and Chacha and Cheetah’s trip starting 08th February 2019 followed by Glitch, Grey, Aun and Teaspoon going live on 22nd February. Bringing in the womanhood, Voot will showcase Maya, On the Road and Red Velvet on 08th March 2019 to celebrate Woman’s day with its viewers.